Looking for something truly special for your next business? Is your perfect livelihood one that you'd be living anyway? For those of you who love the San Juan Mountains and the towns of Ouray, Silverton, Lake City, Telluride and Ouray, this may be just too good to be true! Switzerland of America Jeep Tours and rentals is among Ouray's most loved and respectedbusinesses. It began back in 1962, and has been operated expertly ever since, leaving a multitude of former patrons to feel that this was their very favorite experience during their stay in Ouray.It's all about friendly, knowledgeable and hard working ownership, quality equipment, amazing tours and rental opportunities, and the hundreds of miles of backcountry roads-some above timberline-which were created by the early miners that came to Southwest Colorado to make their fortune. The sale of Switzerland of America includes more than 300k worth of custom crafted tour vehicles, which range from customized and extended Jeeps to a 4 wheel drive touring van to their classic tour vehicles designed to carry riders up high to take in the incredible views. The season runs from May through October, with tours run by expert drivers who not only know the trails but the history and lore of the area. Popular tours include Yankee Boy Basin, Engineer Pass, Corkscrew Gulch, Imogene and the storied Black Bear Pass. Some tours last just a few hours while others take full days. Differences in scenery and ruggedness make it so that the first trip often becomes the catalyst for a lifetime of experiences. 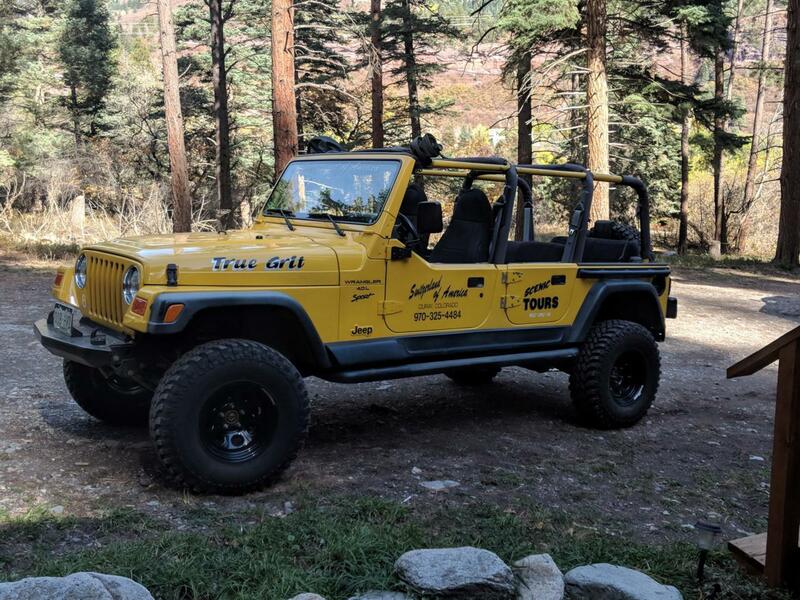 Many love renting their own rig to take into the backcountry, and the new owner may choose to continue to lease rental jeeps or buy them outright. Either approach works. Switzerland of America Jeep Tours and Rentals is a lifestyle, any you'll find yourself the expert regarding all things fun in the area. The work is hard, but the income stream has been impressive, and financials are available to qualified buyers who are willing to sign a non-compete and non-disclosure agreement. The business is operated out of the ideally designed building located 1/2 block off of Main Street-just down from the Hardware Store. Sale of the business will include an agreement to lease this space from the current owners. For more information please contact listing agent as soon as possible.